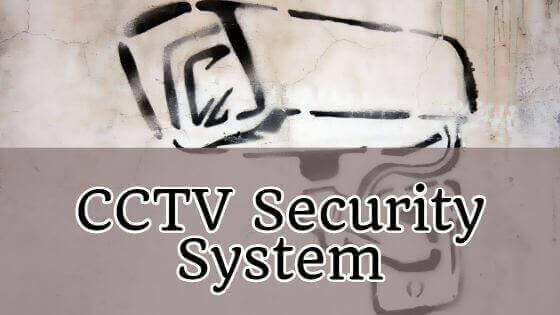 This is a good Electronics project report on CCTV Security System. The project is mainly based on the assembly language program to run the Microcontroller. The microcontroller controls these all operations through assembly language instruction. Closed Circuit Television is an ideal system to protect your property. CCTV systems offer such a wide area of applications and benefits 24-hours a day. You can also Subscribe to FINAL YEAR PROJECT'S by Email for more such projects and seminar. The ideal system to protect your property is CCTV (Closed Circuit Television). Not only does it act a visual deterrent but the video or digital recording provides an invaluable method of recording crime, violence or anti-social behavior. CCTV systems offer such a wide area of applications and benefits 24-hours a day. Systems can aid the monitoring of stock, personnel, visitors, access control and prevent health and safety incidences. The microcontroller controls these all operations through assembly language instruction. The project is mainly based on the assembly language program to run the Microcontroller. 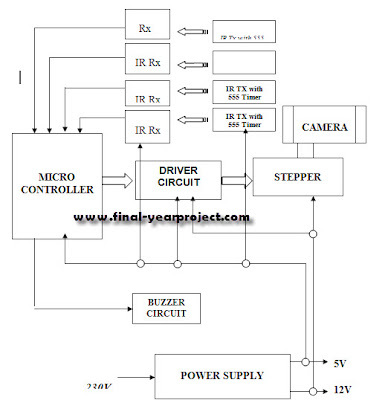 This system consists of sensors, stepper motors, TV, camera, microcontroller, and Buzzer alarm. Sensors are connecting to the gates. Buzzer alarm, TV, and stepper motor these all are connecting to the microcontroller. The alarm is ON if anyone enters through the gate. Each infrared (IR) sensor is connected with an I/O line of the controller. In the initial condition, the IR Sensor output is in ZERO. I/O line value is compared. When Intruder enters IR receiver gives High value. With this, the stepper motor rotates in a particular angle. The angle of rotations given by the shaft angle of the stepper motor. The pulses are given from the I/O lines of the stepper motor. The pulses are fed to the driver circuit through which MOSFET drives the ground corresponds to the coil connected. This magnetizes the internal coil and shaft is attracted or rippled by the coil, by this, its rotation depends on the shaft rotation angle. The rotation of angle given by the step sequence. The power for a stepper motor that is 12V DC is taken from the rectifier circuit and 5v for driver circuit and Microcontroller. The alarm is ON if anyone enters through the gate. 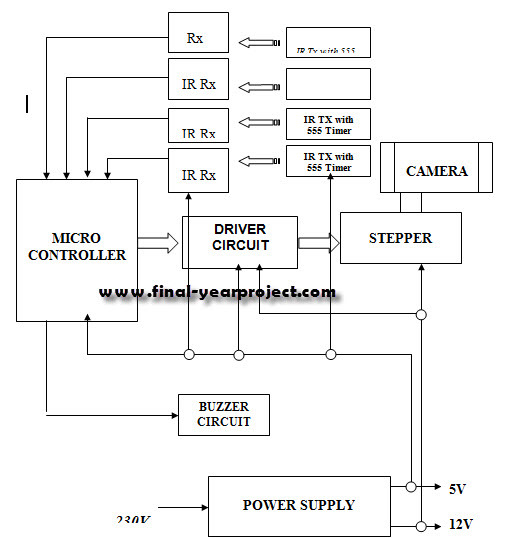 Stepper motor is used to rotate the camera. If anyone enters through the gate the sensors sense the signal then automatically the alarm ON through microcontroller operations. The camera observes everything at the gate. The camera moves according to the microcontroller instructions. With closed-circuit TV we know who enters into the gate. With this system, we can provide security. The microcontroller controls these all operations through assembly language instructions. The report contains the block diagram, Circuit diagram, full working, design procedure, microcontroller programming (Source code), etc. Use this system for your reference and study only.